by Caleb Taylor: Gov. 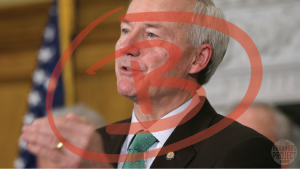 Asa Hutchinson is a “B” student in economics when compared to governors nationwide, according to a report released today by the Cato Institute. Former U.S. Representative and federal official Asa Hutchinson entered the Arkansas governor’s office in January 2015. Hutchinson campaigned on a middle-class tax cut, and he delivered soon after taking office. He signed into law a cut to tax rates for households with incomes of less than $75,000, providing savings of about $90 million a year. The governor said, “Arkansas has been an island of high taxation for too long, and I’m pleased that we are doing something about that.” Enjoying substantial budget surpluses in 2016, Hutchinson has promised further tax cuts. On spending, Hutchison scored a bit better than average among the governors.Hutchinson’s score was enough to give him the 16th best ranking from Cato’s limited-government fiscal policy perspective. The fifteen governors ranked ahead of Hutchinson were all Republicans, with the exception of Rhode Island’s Democratic Governor Gina Raimondo. Governors were ranked by their tax and spending policies. While Hutchinson received props for his tax cuts, the report’s authors said Hutchinson only “scored a bit better than average among the governors” for his spending record. The report stated Medicaid costs have been “growing rapidly” in states like Arkansas that expanded Medicaid to able-bodied adults through Obamacare in 2013. Medicaid has grown rapidly for years, and the Affordable Care Act of 2010 (ACA) expanded it even more. For states that implement the ACA’s expanded Medicaid coverage, the federal government is paying 100 percent of the costs of through 2016, and then a declining share after that. As the federal cost share declines, state budgets will be put under more stress. But aside from the federal portion of Medicaid, the state-funded portion of the program is also growing quickly and stressing budgets. State-funded Medicaid spending grew 6.0 percent in 2015 and an estimated 8.3 percent in 2016. 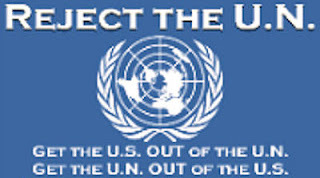 You can read the entire CATO report here. Caleb Taylor is a reporter for The Arkansas Project. The Arkansas Projec is a source for incisive commentary and reporting on Arkansas government, politics, media and more. It is an affiliate of the Advance Arkansas Institute. Tags: Arkansas, Governor, Asa Hutchinson, Cato Institute, Caleb Talor, The Arkansas Project To share or post to your site, click on "Post Link". Please mention / link to the ARRA News Service. and "Like" Facebook Page - Thanks! Well, there goes Cato's reputation! A "D" is too generous.